Accent Safety Systems is dedicated to providing the ultimate height safety solution for your building. Whether a new or existing building, we work with our clients to assess potential risks, provide user friendly height safety systems and assess solutions whilst ensuring quality and compliance with current legislation's. Accent Safety Systems design, supply, install and certify a wide range of different height safety systems and products allowing us to select the optimum system to suit your access needs. 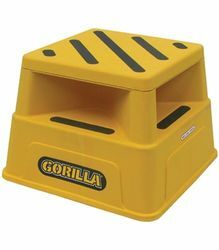 From design through to construction and eventual management, our experienced team will identify important factors such as safety, functionality, durability and maintenance to ensure you get the best height safety system for the application you require. 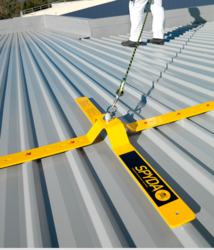 We offer a comprehensive range of systems, horizontal and vertical fall arrest safety lines, anchor point systems as well as ladder fixed guardrail systems – which all eliminate risks when working at heights. 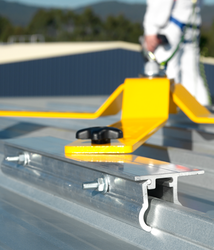 Our systems meet the highest safety standards and comply with relevant Australian Standards and OHS legislation.